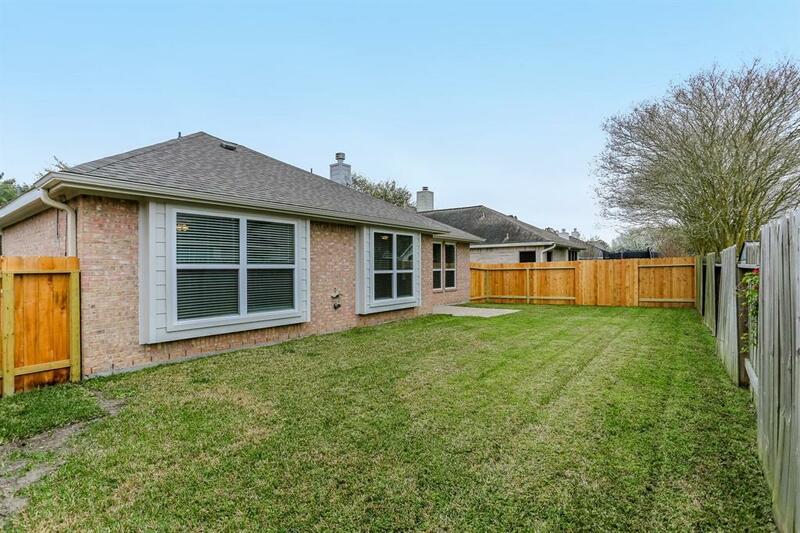 This Adorable One Story, 4 BR, 2 Bath home has been completely remodeled and has too many upgrades to list. Simply a must see. Custom wood look tile & LED lights throughout, New 16 Seer Carrier A/C, New Carrier Heater, new kitchen with Mosaic tile accent back splash, granite counter tops, new Stainless Dishwasher, New LG Microwave and new LG gas range/oven. New spacious CUSTOM CABINETS w/soft close feature, large.LG stainless Refrigerator. Large Pantry and spice rack,Master bath features granite, butted shower enclosure and a big new spa tub w/Travertine surround. Huge walk in closet w/built in shelves.Freshly painted inside and out. Ceiling fans and designer light fixtures. 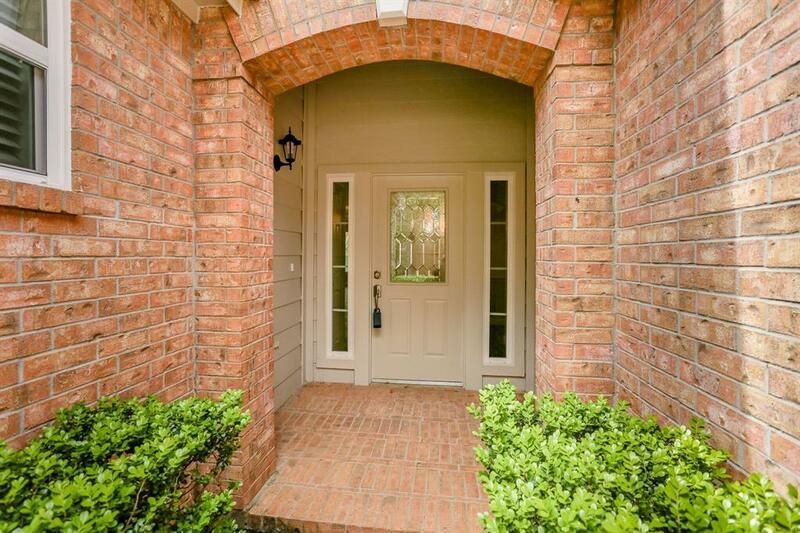 2 yr old roof.gas Fireplace opens to two living areas!Lots of crown molding & 6" floor molding. 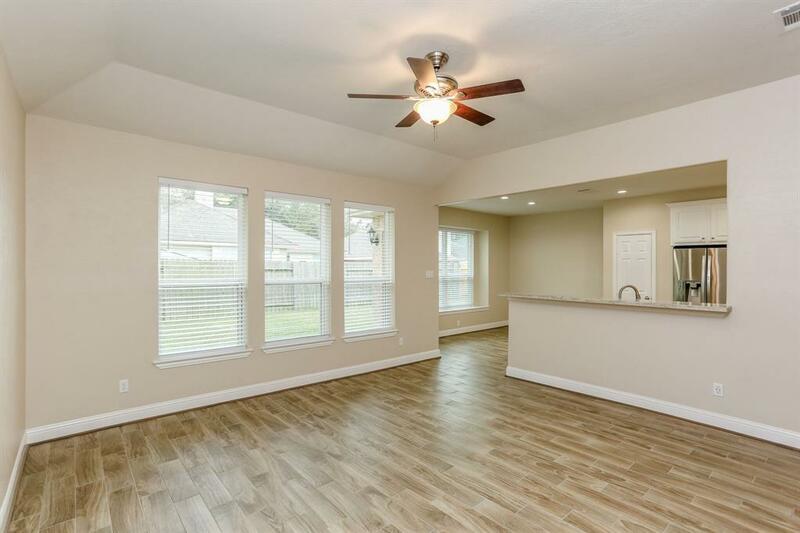 Vaulted ceilings in family room & Master BR, Moen faucet fixtures.Spacious back yard, New Fence, fresh landscape, SEALED EPOXY GARAGE FLOOR and more! THIS HOME IS AMAZING! HURRY, WON'T LAST! 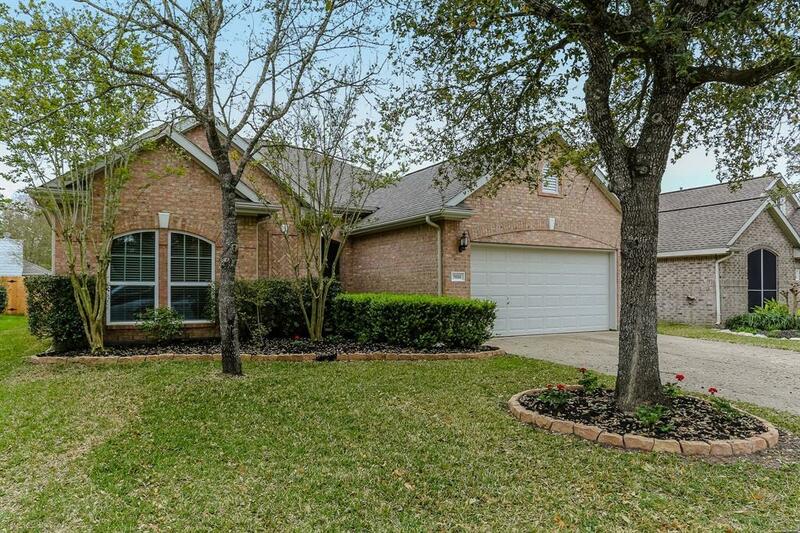 Listing courtesy of Texas Premier Realty. © 2019 Houston Realtors Information Service, Inc. All rights reserved. All information provided is deemed reliable but is not guaranteed and should be independently verified. IDX information is provided exclusively for consumers' personal, non-commercial use and may not be used for any purpose other than to identify prospective properties consumers may be interested in purchasing. Data last updated 2019-04-24T22:12:30.837.